Home to a vast array of wildlife and some of the most stunning scenery in the world; Argentina is a favourite destination for all wildlife lovers. 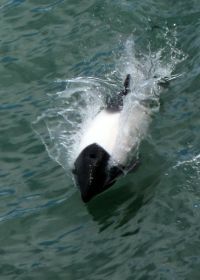 This trip centres around the amazing behaviour which a small population of orcas have developed in central Patagonia. 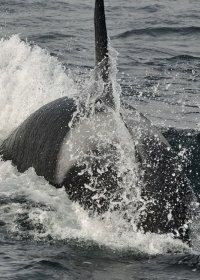 This behaviour was immortalised by the BBC during the series The Trails of Life where they filmed the orca beaching themselves in order to catch the southern sea lion pups in the surf. It is just unbelievable sight which we aim to see here. But in addition to the orcas we will spend some time at the largest colony of Megallanic penguins in the world, enjoy a dolphin watching cruise, some world class birding and excellent mammal watching inland. 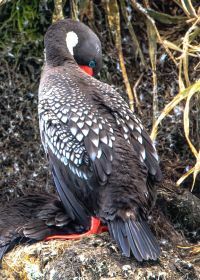 All in all this tour is an excellent way to get the best of the Patagonian wildlife whilst sampling the best that Argentina culture and hospitality has to offer. On arrival in Buenos Aires you will be met at the airport by your guide. You will then be taken to the accommodation, level – 3-4* (local hotel); where we will have lunch and unpack. In the afternoon we will enjoy a short journey to the Costanera Sur Nature Reserve. Here you will get a glimpse of some of the wildlife which inhabits the north of Argentina before we head south in the open pampas. We have a good chance of spotting coypu, Pampas cavy, Hillarys side-necked turtle, black tegu lizards as well as many bird species like chalk-browed mockingbirds, great Pampa-finch, black-and-rufous warbling finch, spectacled tyrant and many many more. We will then head back to the accommodation where we will have a welcome to Argentina meal. Today after our breakfast we will catch a flight south from Buenos Aires to Trelew which is well and truly in Patagonia. We will be transferred to our accommodation, level 3-4* (local hotel). After some lunch we will leave to pay the Punta Tombo penguin colony a visit. This is a huge colony and the largest Magellan penguin colony in the world. 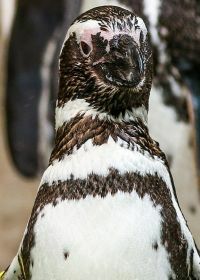 At this time of the year the moulting season is just ending and most of the penguins are leaving or have already left but there is still a good chance of finding plenty around here as we walk in between the old nest sites. We will have our evening meal back at the accommodation. 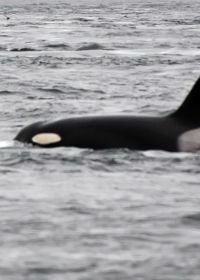 Over the next couple of days we will be searching for the orca which make this peninsula so famous. 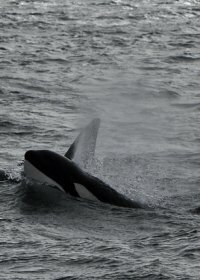 In March and April the orca are here to prey on the sea lion pups which are entering the water the first time. But it is the hunting technique they use which is absolutely amazing. 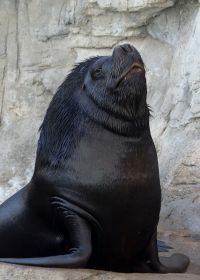 Immortalised in the BBC series The Trails of Life the scenes of orca rushing the shoreline and temporally beaching themselves in order to catch the sea lions in the surf is exactly what we are looking for here. 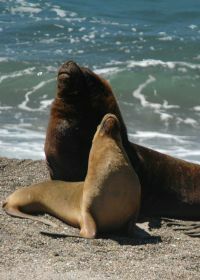 We will visit Punta Norte, Puerto Piramides and Caleta Valdes over the next two days to try and see this behaviour. 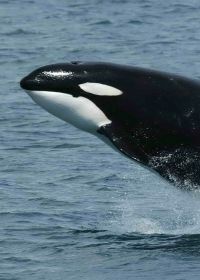 However it is very much luck if we see any orcas making an attack. There are plenty of other animals here though and the guanaco, mara, southern elephant seals, southern sea lions, Argentine grey foxes, hairy armadillos, Darwins rhea, elegant-crested tinamou, Magellanic oystercatchers and many other species should keep us well entertained. We will probably have a packed lunch before heading back to the accommodation, level 3-4* (local hotel) for our evening meal. 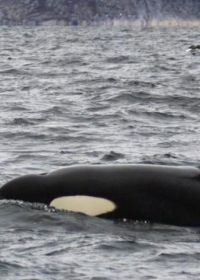 Today we will visit any areas of Peninsula Valdes that we did not visit yesterday as we continue are search for the orca and hope to be witness to their amazing hunting behaviours. We will probably have a packed lunch again and head back to the accommodation, level 3-4* (local hotel) for our evening meal. After breakfast we will leave Peninsula Valdes and head further south along the spectacular Patagonian coastline until we reach Bahia Bustamante and our accommodation, level – guest house / cottages; we will have lunch and then the rest of the afternoon is for you to explore the surrounding areas. 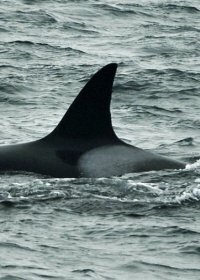 This is one of the smallest and most beautiful of all Patagonias towns and you will enjoy the relaxing atmosphere as well as the wealth of life around here from steamer ducks, Magellanic penguins, southern sea lions, southern giant petrels, orca, as well as another 70 plus bird species which are regularly seen. We will have our evening meal in a local guest house or restaurant. After breakfast we will enjoy some birding, along the Patagonian coastline before being transferred further south to Puerto Deseado where we will check into our accommodation, level – guest house. This afternoon will be at your leisure as you can scan the sea for more orca, southern right whales, Commersons dolphins, southern elephant seals, snowy sheathbills, dolphin gulls, Royal terns, black-browed albatross and many other marine birds and mammals. We will enjoy our evening meal in our accommodation or a nearby restaurant. After breakfast we will explore some of this coastline which Charles Darwin visited himself during the voyage of the Beagle. 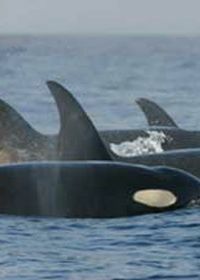 We will take a boat trip out to try and get up close to some of the marine mammals and birds of the area such as Commersons dolphins, southern sea lions, Magellanic cormorants, Megallanic penguins, red-legged cormorants and possibly orca. We will have our well deserved and last Patagonian meal in our guest house or a local restaurant. Today we will catch a flight back to the Argentine capital after breakfast. Once we get to Buenos Aires we will check into our hotel, level 3-4* (local hotel) and the rest of the afternoon will be for you to explore the city and its many sights. This is one of the most atmospheric cities in the whole world and an hour or two exploring its many streets is a magical experience. Our last meal will be served in our accommodation. Everything mentioned in the itinerary is included. Including three meals per day (breakfast, lunch and dinner). There will be an amount of bottled water (approx 1ltr) available for each guest each day. We have our own private air conditioned vehicles to be transferred around in. This will be driven by our local guides. All boat trips and park fees are included. We recommend that you bring your own binoculars or scope as well as suitable clothing which would be cool, light clothing as well as warmer clothes as the weather can be unpredictable and long hours on exposed beaches can get windy. Water proofs and a wind-breaker are also recommended. Comfortable walking shoes are a must as there is a must. A sunhat, sun cream and insect repellent are also recommended. Cameras, film and memory cards are a must along with any other items of a personal nature which you will require whilst away. Nearly everything is included in this tour. The only things not included are international flights, travel insurance (contact us for more information one what is required from your insurance policy), any food bought outside of the three main meals, any drinks other than the bottled water provided and of course any tips, souvenirs or other items of a personal nature. Any applicable departure taxes and not included (but maybe included in the cost of your flights). Please check before departure. All UK passport holders are not required to have a visa for Argentina. However things change so the easiest way to find information is by visiting www.argentina.gob.ar (be aware that this link leaves our site and we at Royle Safaris hold no responsibility for information on the site). My experience with Royle Safaris was outstanding. The company were great and the guide was fantastic with an immense knowledge of local history, culture, flora and fauna. We only saw one beach attack but it was more than worth it. I would say anyone thinking of going on this holiday to bring plenty of patience. This was the adventure I was waiting for...watching the tall find patrol the shallows...seeing Patagonia and the exquisite Commersons dolphins was a dream...well done everyone involved.